Our star from the 2016 Festival! To the delight of the public, some skippers sport vintage garb; others display period décor or play a few tunes. Table settings and captivating floral arrangements might be found aboard a boat. Welcome mats are in evidence and children, pets and parrots have been known to enliven the scene. 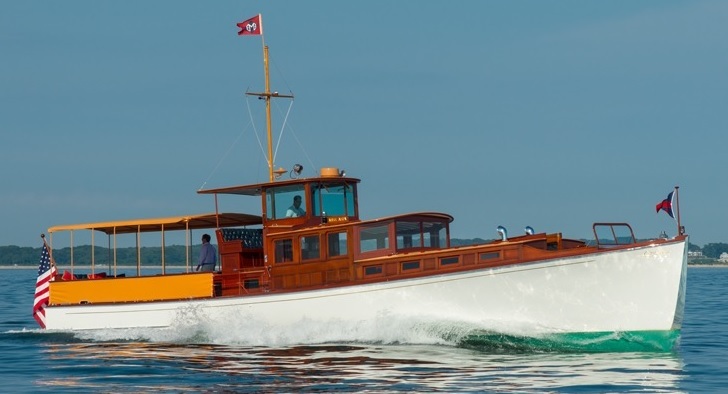 Many hospitable owners invite the public aboard for a personal tour, regaling visitors with tales of their boat’s history, memorable voyages and the joys and woes of restoring their classic. A crafts fair, artists, old-time band music, children’s activities and a Blessing of the Fleet round out this popular event.